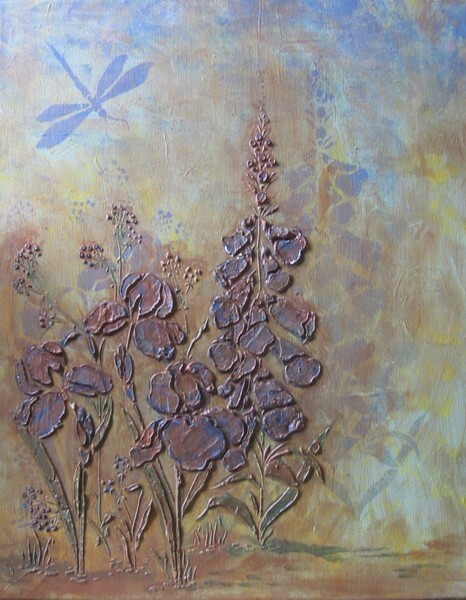 Painted with acrylics and added the 3D relief texture, using stencils and glazes. Original 16x20"
This is quite pleasant. Interesting techniques. Great painting, I love this!